A Focus on Our Future - in addition to our pursuit of academic excellence, our mission statement also focuses on preparing you for responsible citizenship. We will provide you with many opportunities to serve your community as a positive role model, while respecting the dignity of every member of our diverse community. We believe that you will be called upon to exhibit leadership in your future. We strive to help you exercise this leadership with courtesy, character and integrity in all situations. A large part of this mission is executed through service - civic, community, personal, congregational, etc. Service through volunteerism builds strong character. 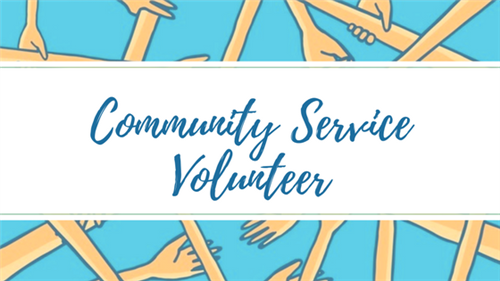 For your efforts in community service, you may be eligible to receive an Activity Letter for 100+ hours, a service pin for every 100 hours you complete and a certificate of completions.....provided you meet the outlined criteria.